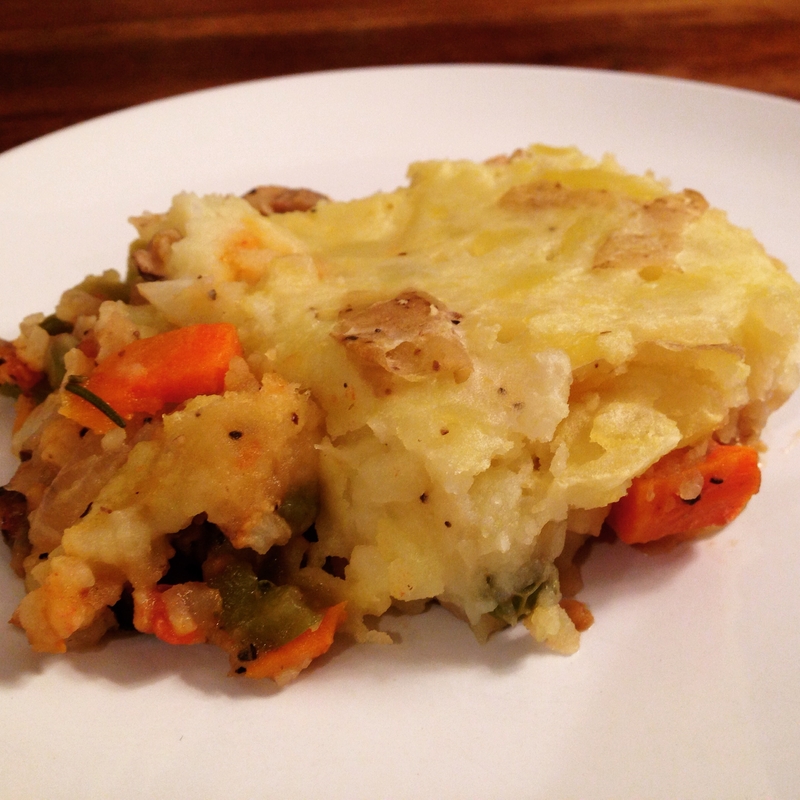 Comfort in a big ole casserole. Herby, hearty, healthy, and more. A medley of colorful vegetables which I chose carefully to combine and they also cook at similar rates. I can’t stand biting into something that has varying spots of doneness. Bite after bite of piping hot, fluffy creamy topping and tender fragrant veggies beneath. Everyone will be thankful for this on Thanksgiving! Heat olive oil in a wide pan. 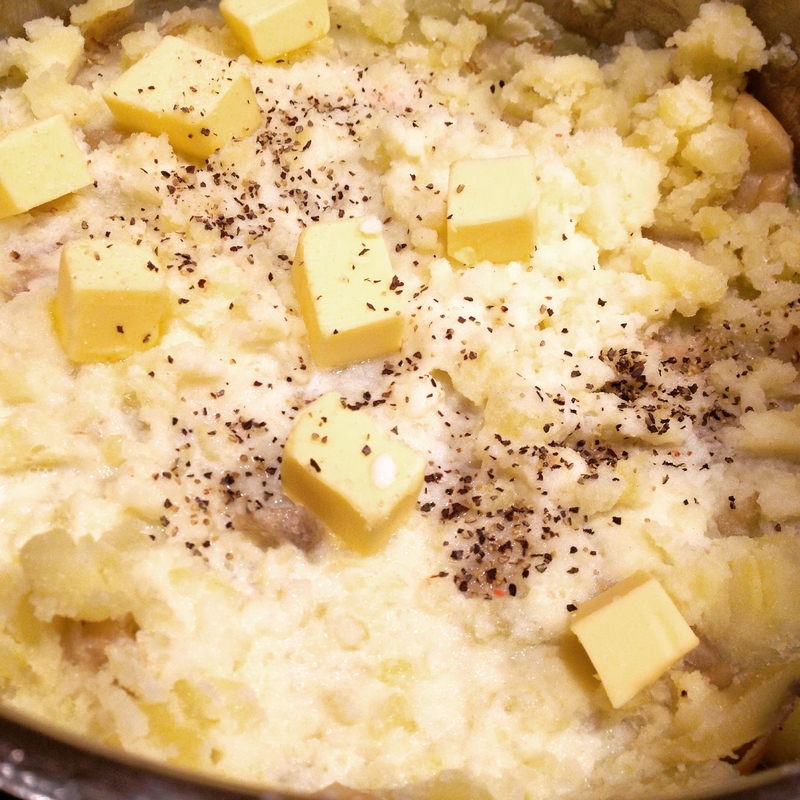 Add onions and garlic, season with salt and pepper and cook for 1-2 minutes. 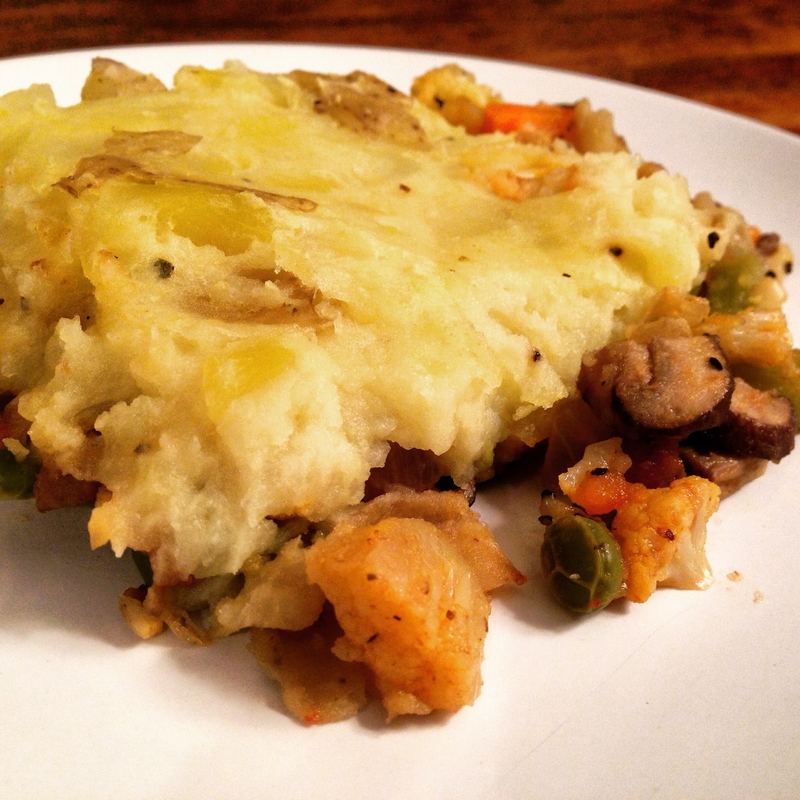 Stir in carrots, and cauliflower and season more. Cook 10 minutes flipping occasionally. 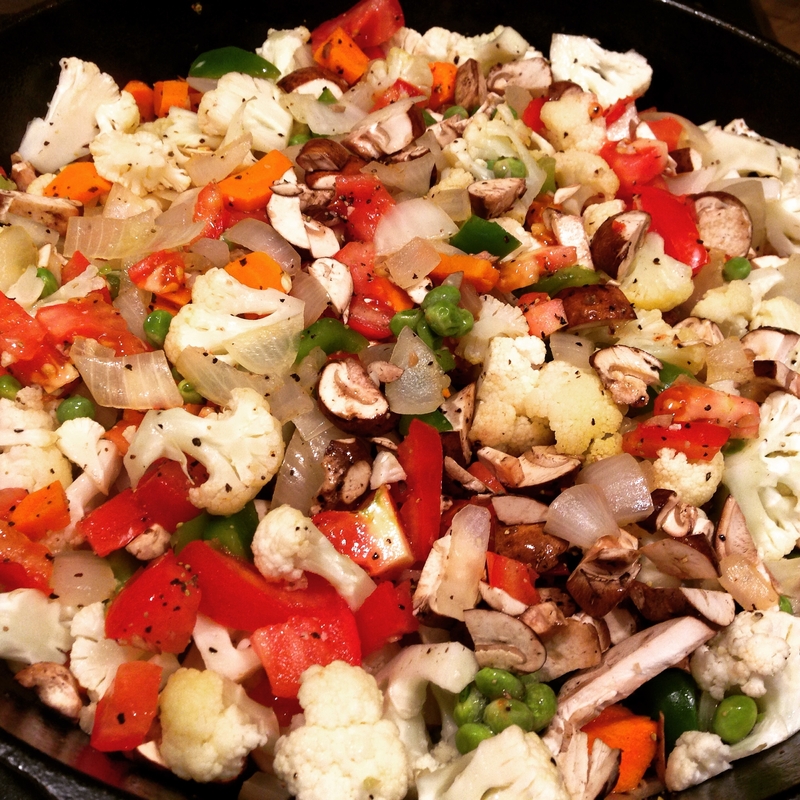 Incorporate peppers, peas, and mushrooms. Cook for 10 more minutes. Turn off heat and stir in fresh herbs. 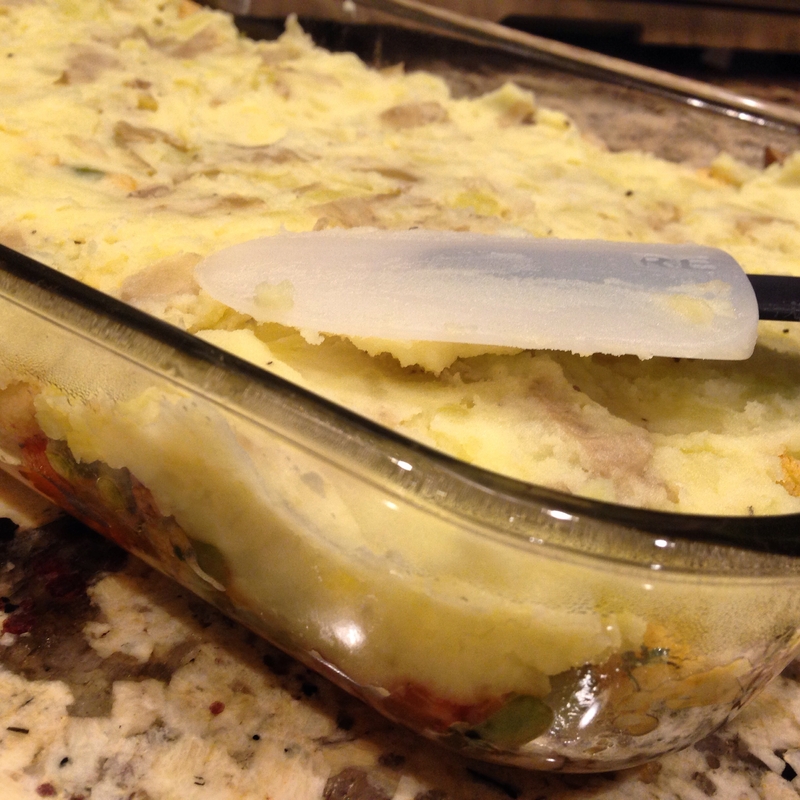 Spread vegetables in a 9×12 baking dish and then spread on the mashed potatoes.